They say necessity is the mama of all inventions, so when the going gets tough instead of just whining some people find solutions. Cash is a problem, no doubt. We’ve tried to go with plastic money but things like airtime are still not so easy to swipe for particularly if you don’t intend on buying anything else besides a dollar worth of airtime. Uuuh, well for Econet users that is not really a problem since there’s EcoCash but not so much for other network subscribers i.e. Telecel and NetOne. Of course there’s Telecash and OneMoney but really, who uses those? Nonetheless, the major problem started when people started migrating from Econet to other mobile networks because it became expensive. Not really became expensive as in shot up, but rather remained at the same price while the rest of the mobile networks became cheaper by means of promotions etc. and because the money is in the Ecocash line, it becomes difficult for people to move to any other network. It would also be nice to tell the folks that you are charged for purchasing airtime via Paynow. I had been using that option for over 2 weeks but l realised that recently and l stopped. I use it all the time. Are you talking about the govt transaction tax and Ecocash Pay Merchant fee? Come on, who should pay that? And what other options do you have – at least they are not putting other charges on top even for ZESA like other platforms charging an extra $1. I am a NetOne subscriber and I now buy the OneFusion vouchers from Topup so it saves me time converting them. I just want them to add DSTV and I’ll be happy. The cons is that you need to have an internet connection. Have you tried using the instapay ?, it allows you to do the same thing without extra charges,,, it has both a website & mobile app ! It’s really useful when u have constant internet connectivity but some of us we usually look for airtime when we have exhausted our data which simply means it’s kinda difficult to access these convenient services. I would like to make a suggestion, Topup, Paynow are really good services it will be more convenient if they are also available on USSD services so we can make payments without the hustle of Internet connectivity. Is the writer under an Econet commission? This story makes a normal readily available and old integrated payment platform sound new and never been seen or used before. This isn’t journalism it’s a poorly researched advertorial. PayNow has been there for a year and allows you to use it to pay for any service using payment channels like Visa, EcoCash and OneWallet. This unfortunate article mischievously and perhaps deliberately creates the impression that Econet has innovated and allowed customers to buy exclusively on their platform airtime when the reality couldnt be further to the truth! 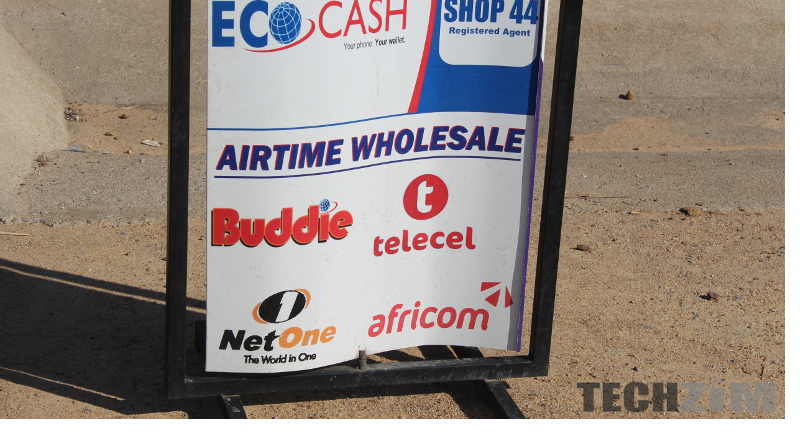 Paynow allows Telecash to pay as well for airtime from Econet. the same applies to OneMoney – you can buy Telecel airtime or Econet airtime using PayNow as the integrating payment platform from OneMoney. This article is badly misleading. Sickening even. You don’t need to prop up Econet so nakedly. Tell it like it is, PayNow is a payment platform that allows all network users to buy services and airtime using their mobile network platforms regardless of the type of airtime they wish to buy. How this TechZim allowed this piece of advertising masqueradingas a story to pass their editorial team boggles the mind. tell The truth. I agree with you, poor journalism indeed. They even ask who used telecash, well I do and one can even use telecash and netone airime to buy econet airtime.